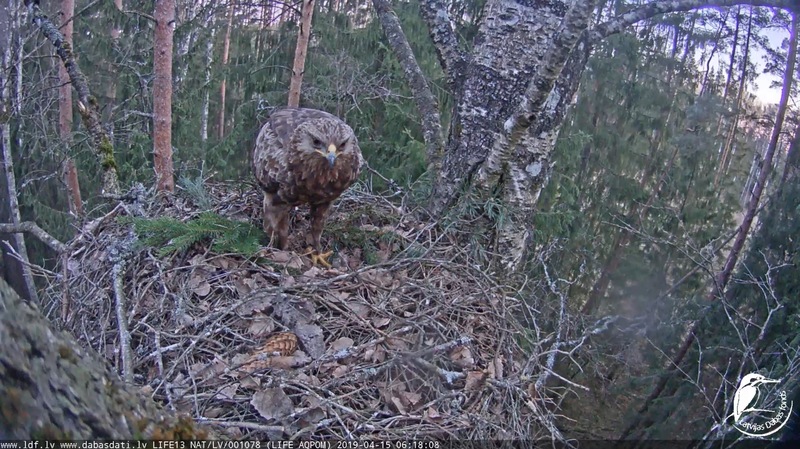 Pikkukiljukotka, Lesser Spotted Eagle - Zemgale I, Latvia - 2019 - Ospreys Nest Forum - The Place To Be! 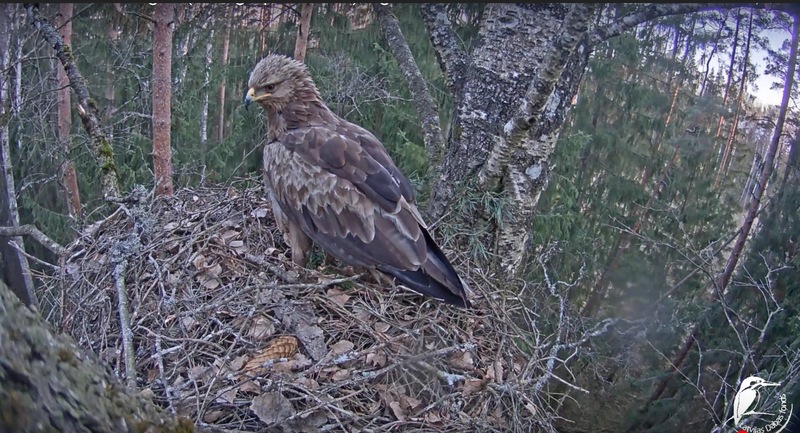 The live eagle nest in Zemgale is known since July 2017, when one new bird was found. It is built in birch at a height of about 20 meters. 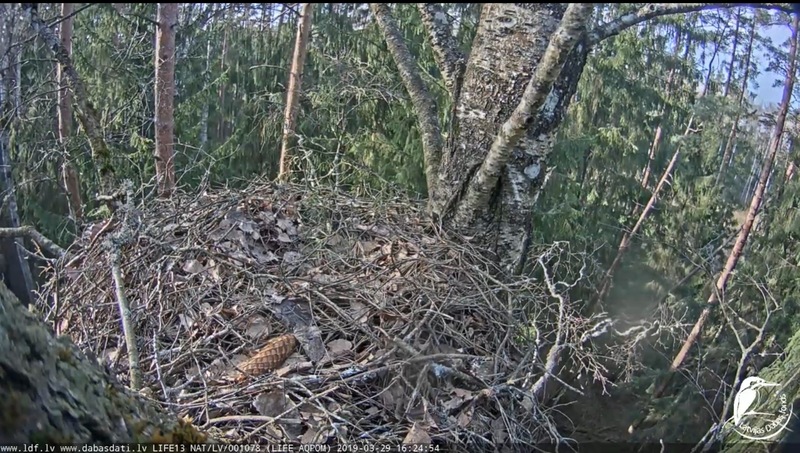 Judging by the nest material, the nest is at least five years old (the lower parts are already partially broken). The online camera system at this location is in the spring of 2018. 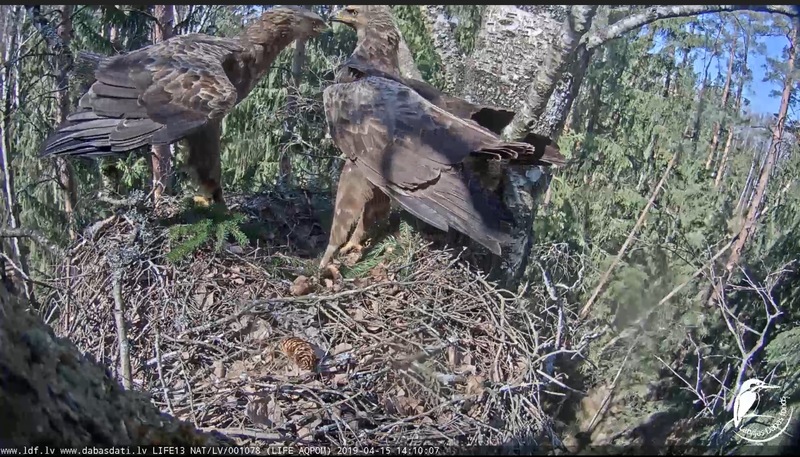 Later, during the nesting season, a pair of small eagles stayed in the nest, but nesting was not started. Jānis Ķuze and Jānis Rudzītis placed the camera system at this nest, and Valdis Lukyanovs and Ģirts Strazdiņš also helped to maintain it.